We build chemical free Natural Swimming Pools (NSPs) using the proven technology from BioNova®. Natural Swimming Pools are a complete reinvention of the chemical swimming pool: aquatic plants rooted hydroponically in gravel are used to clarify and purify the water, instead of using toxic chemicals. Natural pools use far less energy, have a smaller carbon footprint, and are more sustainable than chemical pools. Enjoy rejuvenating, chemical free, healthier swimming water by converting an existing swimming pool or designing a new water-scape feature as a Natural Swimming Pool. 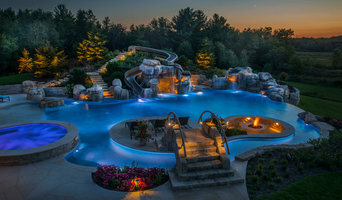 We build sustainable and natural environments using patented design techniques and energy efficient technology to bring a safe, natural and beautiful swimming experience. In addition to the healthful swimming, the Regeneration Zones help support local wildlife such as honeybees, dragonflies and other pollinators plus are a beautiful, unique landscape feature. As Santa Barbara’s longest, continually-operating pool contractor Village Pools has grown to become the area’s premier pool builder. From commercial pools for The Four Season’s Biltmore and The San Ysidro Ranch to residential spas, fountains, and pools for some of the area’s most exclusive estates Village Pools’ diverse portfolio of clientele and projects is unparalleled in the region. MK Pools & Gasworx Inc. Pools and Spas, Outdoor resorts, and everything that encompasses an outdoor oasis! Call anytime. (805) 882-2256. Email: mark@santabarbarakoi.com We are a full service and repair pond, pool & spa business. In business over 30 years. Huge parts & whole goods stocking inventory. Licensed swimming pool contractor # 552239. Offering warranty service on Jandy/Zodiac, Hayward, Raypak/Rheem, Waterways, Pondmaster/Danner, and Little Giant/Cal Pump. Two stores now to serve you. 1) Downtown Santa Barbara. 2) Buellton. What exactly do Mission Canyon pool builders do? If you are planning for a new pool in Mission Canyon, CA, a swimming pool builder will analyze your outdoor space and your aesthetic wishes to determine an appropriate design for your yard, installing it once the plan is developed and approved. Once installed, some pool companies in Mission Canyon, CA can handle the necessary cleanings, water testing, renovations and equipment replacement or repairs for your pool or spa. If not, many can also suggest Mission Canyon, CA swimming pool contractors or maintenance services to help with upkeep or repairs down the road. Here are some related professionals and vendors to complement the work of swimming pool builders: Garden & Landscape Supplies, Landscape Architects & Landscape Designers, General Contractors, Landscape Contractors, Solar Energy Contractors. Before hiring a swimming pool construction company to create your new Mission Canyon, CA pool, determine how you'll be using it. Will it be for fun or for lap exercise? Will the primary users be children, adults or a mix of the two? Knowing the use can help you find Mission Canyon pool builders who shares your aesthetic. Once you find swimming pool builders in Mission Canyon, CA who share your style, research is critical. Review customer references and comments, collect at least three to four estimates to compare, meet with potential Mission Canyon pool designers and builders in person and ensure that they are California certified service professionals and licensed with the registrar of contractors before making any final decisions. In addition, get a sense whether they plan to complete the pool installation and be done with it, or whether they seem interested in building a long-term relationship with you. Be wary of the former: it's likely a reflection on the level of quality of the pool construction they do. 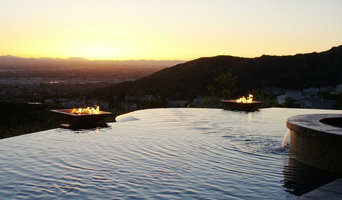 Find a Mission Canyon pool contractor or designer on Houzz. 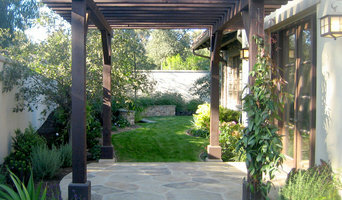 Narrow your search in the Professionals section of the website to pool builders in Mission Canyon, CA. You can also look through Mission Canyon, CA photos by style to find a pool or spa you like, then contact the local pool company who designed it.